BACKGROUND: The objective of the present study was to investigate the relationship between colorectal and prostate cancer. METHODS: All Victorian men who developed metachronous colorectal and prostate cancer with the first primary diagnosed between 1982 and 1993 were identified retrospectively from the Victorian Cancer Registry and were followed up to the end of 1995. Analyses were stratified by age group and years of follow up. 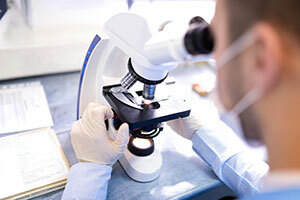 The cause of death in those men who had prostate cancer following colorectal cancer was determined. 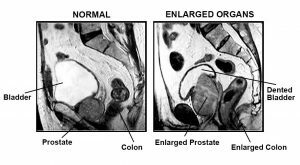 The stage of colorectal cancer was compared between men with and without second primary prostate cancer and the grade of prostate cancer was compared with men who did not have a prior colorectal cancer. RESULTS: Men who develop colorectal cancer are at increased risk of prostate cancer, with the greatest risk in men under the age of 65 (Relative risk approximately 2). Men with first primary colorectal cancer are more likely to develop prostate cancer than colorectal second primaries, and men who develop second primary prostate cancer are more likely to die of prostate cancer than colorectal cancer. CONCLUSIONS: Younger men diagnosed with colorectal cancer are at increased risk of prostate cancer. However, there is no direct evidence that screening for prostate cancer leads to a reduction in mortality. This should be considered when discussing long-term follow up. 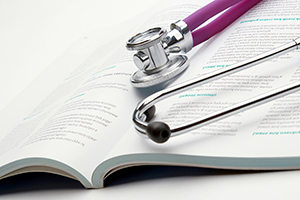 HOW CAN MY PROSTATE CAUSE BLADDER PROBLEMS? Blocking of the urethra (the urine tube): As the prostate grows larger, it may block the bladder outlet and stop the bladder from emptying. In some cases, urine may get stored up causing a urinary tract infection or even Interstitial Cystitis. An enlarged prostate can cause an overactive bladder since when the prostate pushes against the bladder it can cause the bladder to work extra hard to get past a blockage or the prostate enlargement. An overactive bladder can tighten without your control, causing an urgent need to pass urine. Inflammation occurs when either the bladder, prostate or colon are enlarged or not fully healthy. The inflammation then multiplies the problems and causes pain, discomfort and frequent urination. 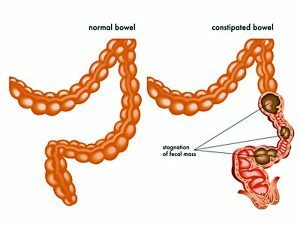 Constipation causes a swelling of the colon due to a build-up of feces in the intestinal track. The colon becomes inflamed and enlarged. This in itself is painful, but now the colon presses against the prostate. 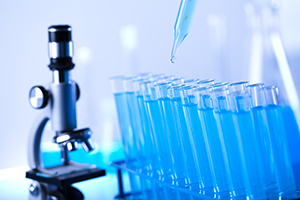 Toxins form from the bacteria that live in the stuck waste materials. All of these toxins can go right into your bloodstream and cause many health problems but for those with prostate issues, the pressure from the colon against the prostate multiplies the prostate’s problems.